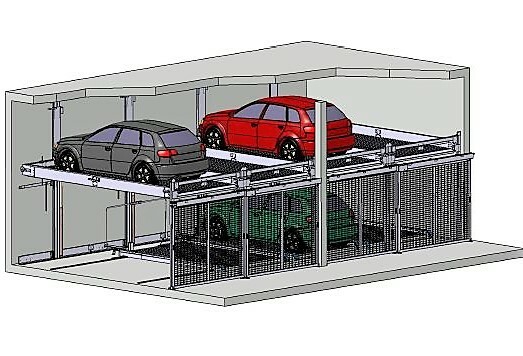 The MAX2 parking system is an automatic parking system that can also be installed in your property without a pit. 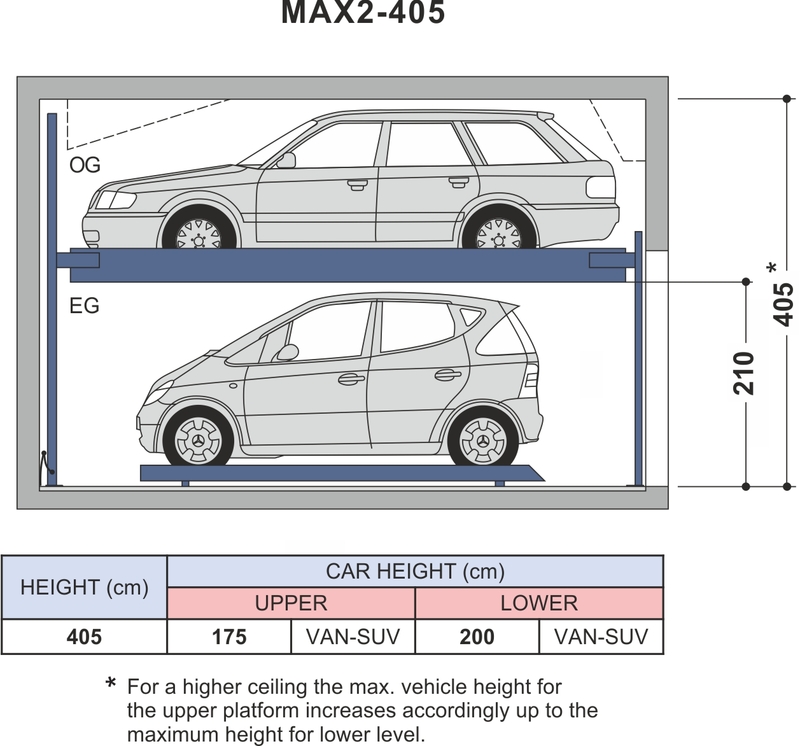 It offers space for two vehicles on top of each other; their parking spaces can be moved vertically and horizontally. The cars are flexibly selectable by an automatic control. Independent parking is ensured by an empty space, which makes it possible to move the parking spaces. In addition, the system is secured by gates, which protects the parked vehicles from theft and vandalism. The parking system offers space for 3 to 29 cars.